Already trusted as the go-to trail gear for serious mountain riders and enduro racers, the TLD Ruckus jersey and shorts get even better for 2018. The Ruckus jersey offers improved comfort with a revised neckline and a new-for-2018 polyester knit fabric that is both lightweight and durable. 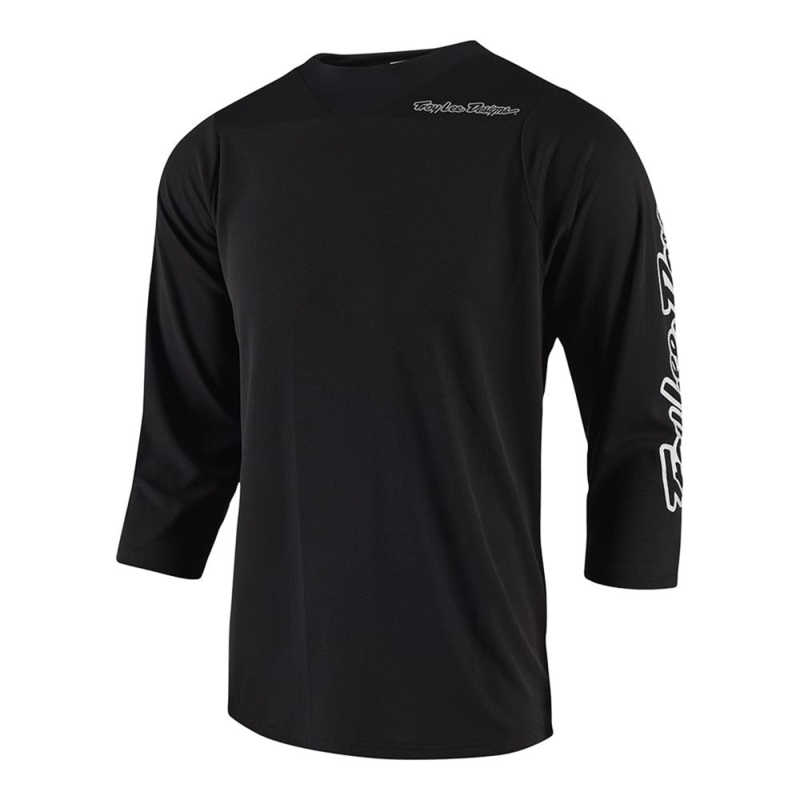 The 3/4 sleeve jersey also provides ample ventilation from perforated rear panels and vented mesh side panels. The redesigned Ruckus line now uses fabric that is certified as Bluesign approved, utilizing materials produced by eco-friendly methods that conserve resources and minimize impact on the environment. So, ride with confidence not only in your gear's performance but its environmental footprint.